A museum chockful of high quality Asian art housed in a high quality Art Deco edifice. Most people associate Seattle with flying fish and Starbucks coffee. But the city has much more to offer. The Asian Art Museum tickled us in all the right places. It's housed in a stunning Art Deco building. And once inside, you'll discover a compact but well-curated collection of exquisite Asian art. Especially if you, like Minor Sights, practically wet yourself at the sight of 1700 year old Greek Buddhas. In Seattle's Volunteer Park, just north of Downtown. Map. REALLY, THIS MUSEUM managed to hit all our pleasure spots at once. No mean feat! For this we have thank Dr Richard Fuller. Born into comfortable wealth in 1897, as a young man he found himself in France driving ambulances during WWI (much like Hemingway did.) 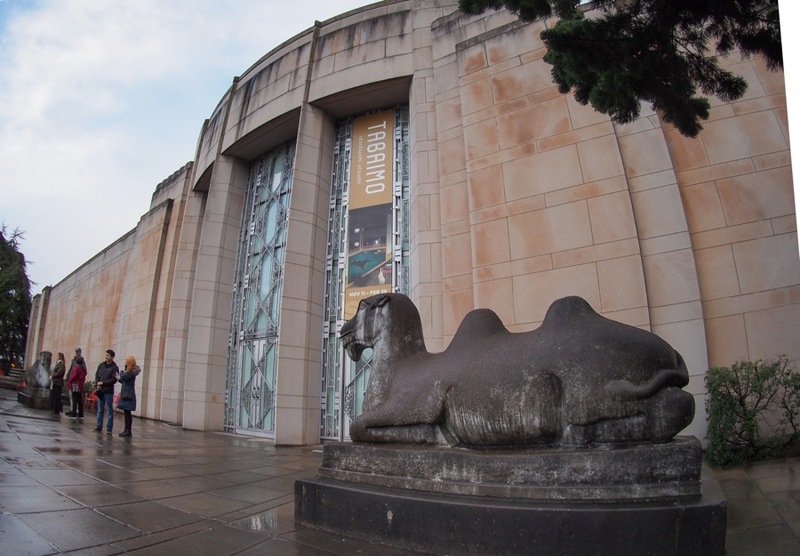 It is tempting to think that during his sojourn in France, he saw Emile Guimet's Museum in Paris, and was inspired by it, as the two men (and the museums they built) have much in common. 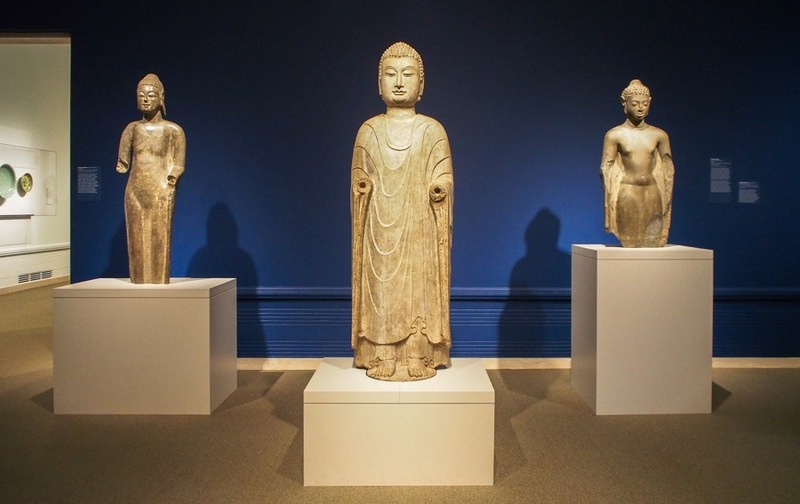 In 1919 the Fuller family went on a year long backpacking trip around Asia, hauling back a sack of artistic loot that would be the starting point of the current Museum's collection. As he ran out of space to display his collection at home, Fuller decided to build a proper museum. Money was no object. 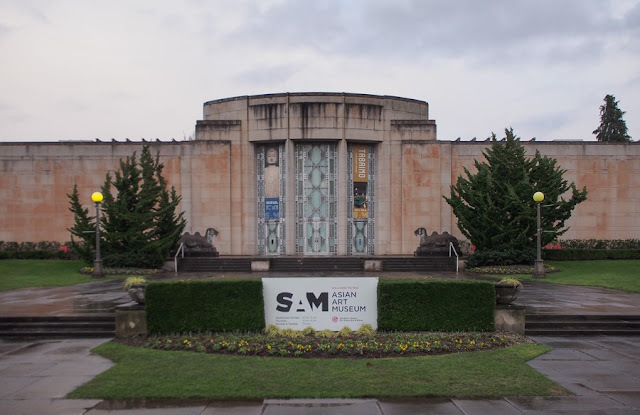 He commissioned some of the hottest local architects to build an edifice in the hottest contemporary style, Art Deco, which became the orginal location of the Seattle Art Museum. Let's go outside: Art Deco elegance. 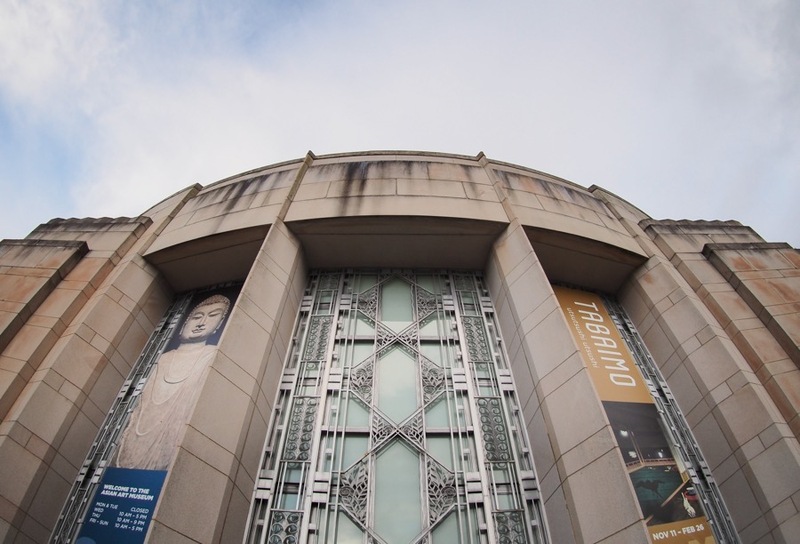 These days the Seattle Art Museum has multiple sites, but the original building still stands and houses the Asian Art collection. And what a collection it is! Let's start with the building itself. 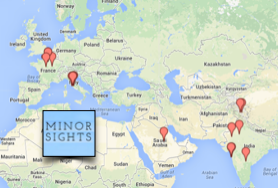 If you've kept an eye on our articles, you will know we have a soft spot for Art Deco. (We won't bore you again, but for more info on what makes Art Deco so special , see here.) When it opened in 1933 this must have been the equivalent of Frank Gehry building the Guggenheim Museum in Bilbao: groundbreaking architecture that was part artistic statement, part PR stunt. It's quite amazing how this monumental pile has stood the test of time. The Art Deco details are consistently present throughout the building, making this a period gem not to be missed. Once inside, the first thing you stumble upon is a beautiful atrium. 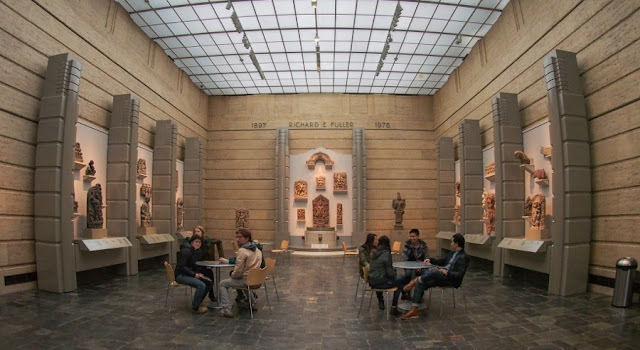 Although it looks like a fancy coffeeshop, its walls lack the obligatory Starbuck kitsch, but are decorated with an outstanding collection of South Asian sculptures instead. Where's my tall skinny latte? 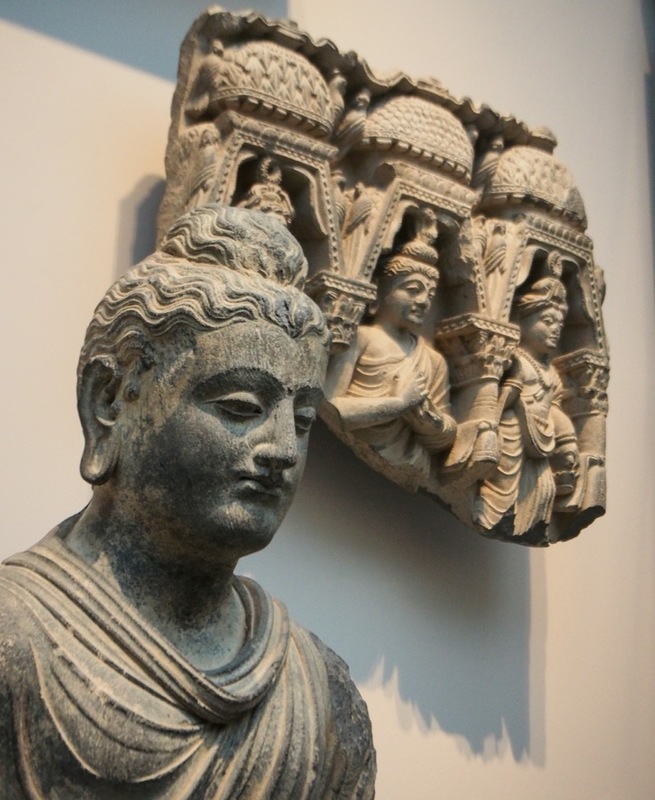 Apart from voluptuous Indian goddesses (all invariably blessed with gravity-defying mammaries) there's a small but excellent collection of Gandharan art. 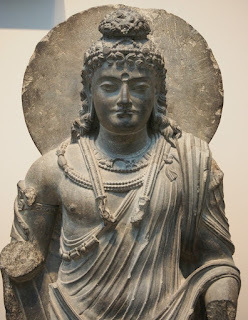 What's Gandharan art, I hear you think? We've written about it here, but it's basically an artistic mash-up of Greco-Roman art with Buddhist imagery. In short, when Alexander the Great made his trip-of-a-lifetime (literally, in his case) throughout Western Asia, he spread Greek civilization all the way to Afghanistan, and it blossomed for a few more centuries, mixing with local religon and traditions. 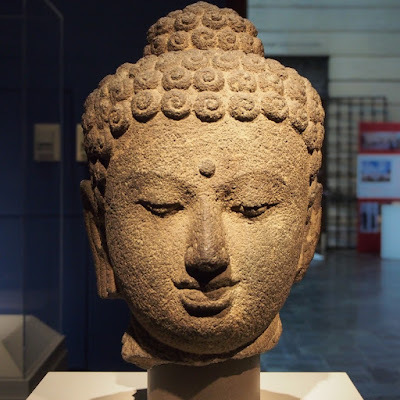 And so you will find yourself admiring a Buddha dressed in a Roman toga, with facial features more reminiscent of a Roman emperor than an Asiatic sage. The art of Gandhara is unique, an 1800 year old testimony to globalization, and frankly, utterly beautiful. It's interesting to compare these Greek Buddhas to the more familiar-looking Chinese and Thai Buddhas in the adjacent rooms, knowing that the Greek Buddhas are actually older. 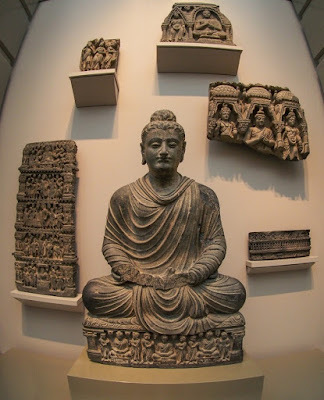 Buddha didn't always look like a a piece of interior decoration from your local massage parlour. He started off looking like Odysseus. Looks more conventional, doesn't it? 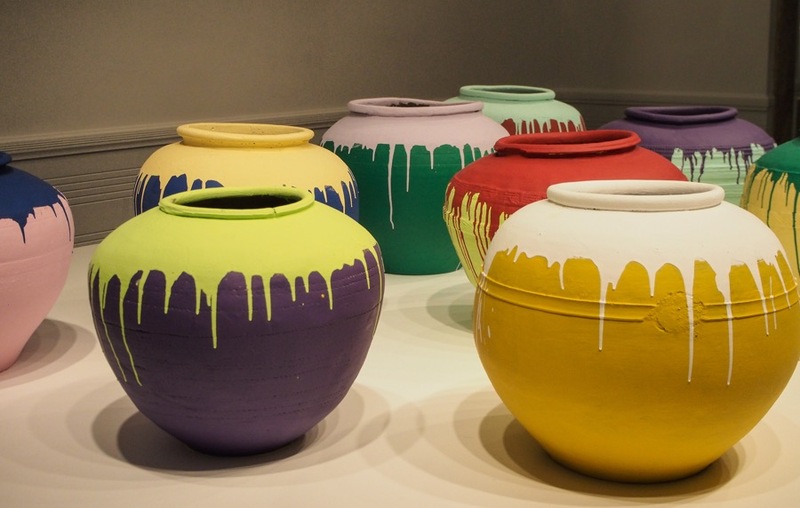 Not content to stick to the classics, the Museum also has art by the infamous Chinese artist-provocateur Ai Wei Wei, a work consisting of technicolored earthenware vessels. And there are regular exhibitions of contemporary Asian art. 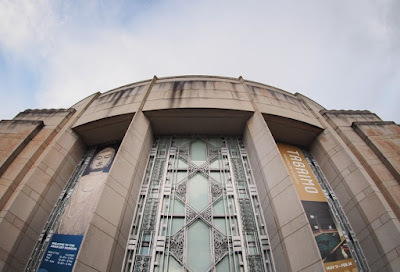 In short, if you have the faintest interest in Asian Art, contemporary or ancient, this Museum ought to be a part of your Seattle itinerary, in addition to those flying fish of course. Ai Wei Wei has been at it again. Amazingly, there's actually a bus, the number 10, from Downtown. Or you can take the Link monorail to Capitol Hill station, from where it's a 10 minutes walk. Or, because this is America, you can go by car, like everyone else. Take note: the museum will close for renovation sometime in 2017 and open again once the work is done (no date provided). Be quick! A short bio of the Museum's founder, Richard Fuller.